Are you moving a house or an office? Does that house or office removal just so happen to be to South Hackney, E9? If you said yes to both of these questions, then we are here to help you! Moving Service is an established, reputable removal company. We specialize in offering partial or complete removal solutions to existing residents or newcomers to the locality to help make your move the swift and smooth process that it ought to be. By listening to your removal needs when you first call us, we draw up a plan that fulfills your moving needs before giving you a quote that remains the same at the start, middle and end. There are absolutely no extra hidden costs! Whatever you need, we can help whether it’s packing, a man and van service in E9 area, or the total moving package, we can provide you with a means to get the job done. We take the stress of moving to South Hackney and make it an easy and enjoyable experience, giving you time to continue with your own personal things. Your belongings are in safe hands with us thanks to years of experience in the business as well as having full insurance that covers your possessions. To speak to one of our removal representatives in E9 and book a consultation today, just call us on 020 8746 4402. We can’t wait to hear from you! 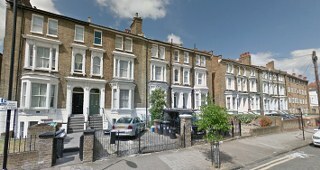 The area is located in East London north of Victoria Park and is often known as Victoria Park Village in order to identify the residential area as a separate district from the rest of Hackney. This district, which lies in the postcode district of E9, is a beautiful and charming area that makes it popular with newcomers and leaves well-established residents reluctant to ever leave. The area is quite open with plenty of green space, making it ideal for dog-owners, young families with children, or even just for people who enjoy the great outdoors. There are plenty of local schools too that make the area very appealing. The streets are lined with terraced Victorian and Edwardian housing that gives the area a historical and nostalgic feel. It makes up for by good restaurants, shops and pubs that sell fresh home-made food. Despite the absence of London Underground stations, there is the Mile End tube station a mile to the south, which is served by the Hammersmith and City District and Central Lines. There are still plenty of buses that run through the district making the area an accessible one. Excellent customer service, strong reputation for performance and delivery and exceptional removal knowledge, are just some of the ways we have been described by previous customers. We are a company that you can depend on and we make it our core mission to show up on time and get the job done exactly to the way that we discuss with you. What we agree on is exactly what you will get so you can be reassured that you get the results that you expect. We offer a wide range of services from packing and material supplies, to transportation through our van hire service and unpacking in South Hackney, E9 area at the other end. We also help clean up any mess that is left behind. This is supported by our experienced and knowledgeable staff who always get the job done quickly and efficiently. Moving Service has your back. To find out more about removals services in E9 area and get a free quote, call us today on 020 8746 4402.